Have you ever heard the question, “Can I give you some feedback?” Did you want to say “No” immediately? Did your fight-or-flight reflex go into hyper mode? If so, you are not alone. Framing feedback with that question starter has a neurologically negative impact. “Can I give you some feedback?” is in most cases followed by “You might want to think about…” or “Something to consider could be…” and, given that you have just upped someone’s blood pressure with the initial inquiry, it might not be a great place to begin. Offering a suggestion is tricky business, so here a few ideas to make your suggestion be something that another person can hear. The words “option,” “consider,” and “possible” are all suggestive words. They offer ideas that the other person might take in or not. They don’t demand or require anything of the individual and he or she can play with the ideas and alternatives, but not be required to do them. These words are authentically suggestive in intent. Don’t fake a suggestion. Many educators in administrative roles try to be supportive of their colleagues and don’t want to direct them by stating something is a mandate, so they suggest that “It would be great if…” or “You might want to think about,” when it is an absolute that they do so. If something is a mandate, non-negotiable, a must, or a requirement, don’t offer a suggestion. It confuses the listener. Suggestions have to be honest offers of ideas and not inauthentic directives put in nice language. Suggest something and leave it there. It is the listener’s prerogative to pick it up as a next step or not. If you offer it with positive intent and put trust in your colleague to make good decisions, your suggestions have a better chance of being heard. 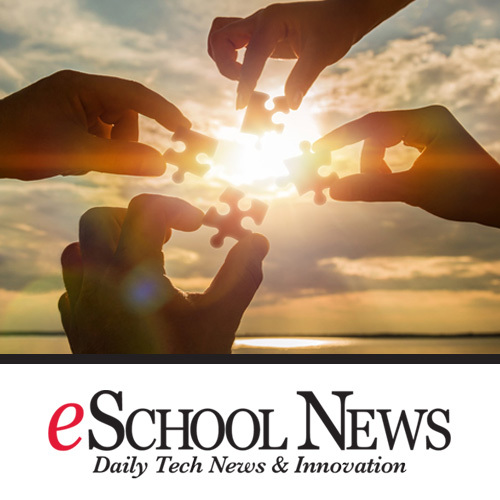 This post was originally published as the fifth in a new column Jennifer writes for eSchool News. In her column on ‘Personal Development’, Jennifer focuses on tangible takeaways, tools and teachings that all those working in schools can use to develop their leadership. Read more about the column and browse past and future content here.